I was born on 28 January 1961 in Luxembourg. 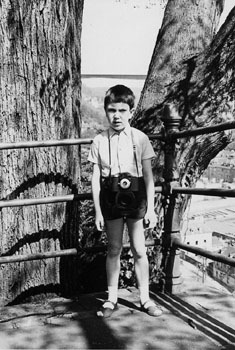 I got my first camera (an "Agfa Click"), in 1968. In 1975 my pictures won first recognition at various national and international photo exhibitions. In 1977, I discovered jazz music and joined the jazzclubluxembourg. I started taking black and white photos at jazz concerts and festivals, using an Asahi Pentax K2 camera with Asahi Pentax lenses and most often Kodak Tri-X films. I made my own enlargements in my own dark room. In 1979, 1983, 1986, 1989, 1992 and 1995 my photos were shown at the "Internationaler Fotosalon Zeitgenössischer Musik Burghausen" (International Photo Exhibition of Contemporary Music Burghausen, Germany), where they repeatedly won awards. In 1984, I participated in the competition "Nikon Meets Jazz" and my pictures were published in the specialized review "Jazz", published in Basel, Switzerland. This was followed by a permanent exhibition of jazz photos of mine at the Malakoff Jazz Café in Luxembourg and by a collective exhibition "Carte blanche aux photographes luxembourgeois" in 1987. After 1986, I got more and more involved at the jazzclubluxembourg, organizing jazz concerts and festivals, such as the annual Jazz Rallye Luxembourg and many of the jazz-related activities in 1995 when Luxembourg was the Cultural Capital of Europe. I was so busy, I stopped photographing for almost ten years. I became a regular contributor of jazz articles to the weekly cultural supplement "Phare" of the "Tageblatt", (Luxembourg's second largest daily) and was moderating a jazz programme ("Jazz Unlimited") at Luxembourg's public radio ("Radio socio-culturelle 100,7"). In 2003, I rediscovered photography thanks to a new digital camera (Canon digital SLR camera with Canon fix focus lenses). I continued to focus on black and white jazz photography, while I was programming the concerts for jazzclubluxembourg, before its activities stopped in 2007. At that time my photos were published regularly in Luxembourg's largest daily "Luxemburger Wort". In 2008 I returned to the “Tageblatt” and have been a regular contributor of jazz photography. In 2007 I was a member of the jury at the Eurodjango Eurojazz Awards 2007. I was also the official photographer at the European awards ceremonies for the Eurodjango Eurojazz Awards 2007. In December of 2007 my photographs were exhibited at the photo expo Jazz at the Conservatoire de Musique in Luxembourg. In October 2010, I had a private exhibition of 55 of my photographs at the cloister of the Centre Culturel de Rencontre Abbaye Neumünster Luxembourg-Grund. I was invited to contribute a photograph to JAZZ: The Smithsonian Anthology published by Smithsonian Folkways Recordings in March 2011. Other photo contributions for the anthology have been provided, among others, by Lee Tanner and the legendary photographer Herman Leonard, who passed away in August 2010. Although (jazz) photography is my passion, I'm a schoolteacher by profession. My photos can be viewed on the Internet at All About Jazz USA, at Focus On Jazz, and and in a photo feature in the spring 2019 edition of Jazz in Europe Magazine. Many thanks to Jeannot Thomé, Wolf von Leipzig and Änder Brepsom for their help with the design, the graphics and the texts for this website.